In the Lower School—where the common areas, including a new makerspace, and almost every classroom have been upgraded and refreshed—students have been decorating and settling into their new areas. Students and faculty at the Upper and Middle Schools are making use of the all-School Dining Room, which has been transformed into a brighter, more flexible space that can be used for group activities and discussions outside of meal times. 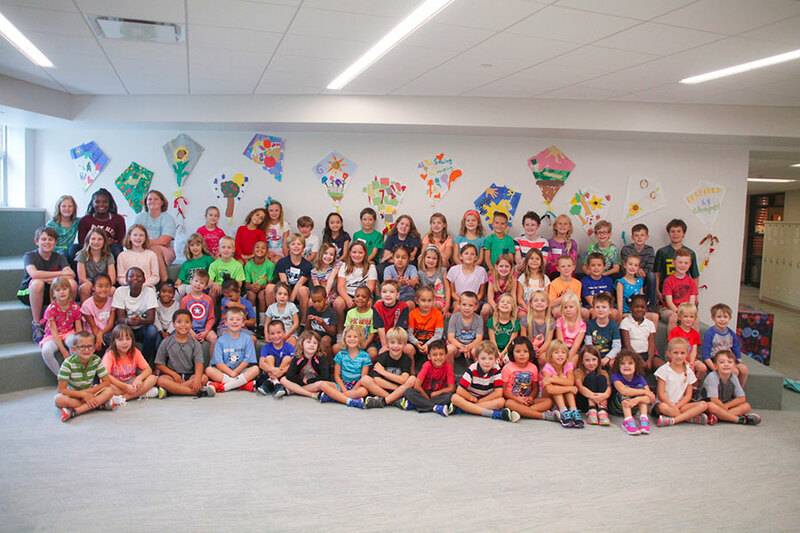 Both the renovated Social Center, which now links to the Dining Room, and the new Dining Room were full to overflowing during the Ice Cream Social as students, parents, and other Principia community members caught up with each other. For students interested in activities such as robotics, coding, and engineering, expanded makerspaces throughout the School and the relocation of the E-STEAM Hub into the Upper School academic building are putting hands-on entrepreneurship, science, technology, engineering, arts, and math within easy reach. This year’s student body hails from 27 states and represents 18 countries, including the United States. With 87 students newly enrolled for the year—and all students well oriented thanks to “O-Week” orientation activities—every level of the School is ready to dive deep into learning. Learn more about O-Week.